Public transportation planning app Moovit has announced a new feature for iOS and Android users today that enables you to share bikes in more than 200 cities. While there are dedicated bus, train, bike and all sorts of other transportation apps available, having to download a whole bunch of them just to get across town by different means of transport is a bit of a drag. 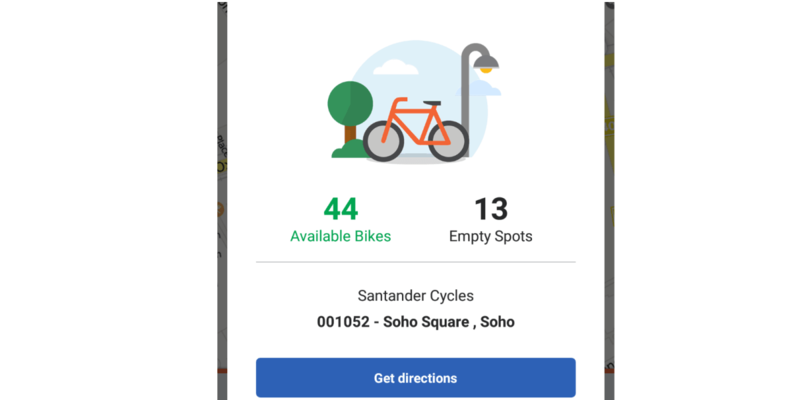 However, from today, Moovit users are able to do all of this from within one service, including finding and renting bikes from established services, like Santander Cycles in London, CityCycle in Brisbane, Australia or Bixi in Montreal, Canada. To use the new feature, all you need to do is search for your preferred bike location on the map and see where they are available (or where there are slots available to return one). Then tapping ‘get directions’ will take you straight to your chosen ride or empty slot. The bike sharing feature is available in the US, Canada, the UK, major European countries, Japan and Australia.